Over the last few years my work has been evolving. No longer do I just make and sell polymer clay trinkets. I also have patchwork scarves, knitted hats, and hi-res photos for sale, among other things. I’ve been trying to force these products to fit in the shop I built for polymer clay, and where that hasn’t worked, I’ve taken them to Etsy, or built a download area on this blog. But really, what I really want is for everything to be in one easy-to-use shop, where the categories make sense, and the products are organized intuitively. I’m finally ready to tackle that monster. See, the main problem is that my Polka Dot Cottage shop is currently set up by “color scheme” and by “pattern type.” This was perfect when everything I sold involved a millefiori cane (each cane was made in one of the color schemes and one of the pattern types). And for the last few years, I’ve slapped a clay button on my fabric and yarn creations not only because I like the way they look, but also because that is what allows me to stick those products in my shop and still allow them to be classified by the millefiori color/pattern combination. I’ve actually avoided making some things that I think would sell nicely, simply because they would be hard to categorize within the confines of my shop. Talk about technology crippling one’s creativity. I’m a slave to my own system! So now I’m in the brainstorming stage, thinking hard about how I want to categorize my products in a way that is easy for shoppers, and adaptable for me – you never know when I am going to get into ceramics, embroidery, or watercolors, right? I stopped being a one-medium girl four years ago, and my shop needs to reflect that. I hope you don’t mind if I think aloud here for a while, and if you want to chime in with your own ideas, that would be very very cool. I don’t plan to change the layout of the website all that much. I just want to re-do the inner workings of it, improve the menu options, make everything easier to find. Maybe re-photograph everything, too. Maybe. Today, my mind is on the main menu specifically. The first example seems more whimsical and cute, but I lean towards the second example, because I suspect more people shop by type of item than by medium. Do you agree? I’m excited to play around with ideas here. I want to categorize each item by the type of item it is (i.e. Jewelry), what it’s made out of (i.e. Polymer Clay), what the main colors are in it (i.e. Blue and Green), and what specifically it is (i.e. Earrings). And then those can be the four searches available – get rid of all of the other complicated stuff I currently have going on. What do you think? Am I missing an important category? If you knew that I made a particular item and you wanted to buy one, what would be your most intuitive way to search for it? Thanks for helping me brainstorm. I really want to spend some quality programming time this weekend, so the more good ideas I have to work with before then, the better! P.S. What are some online shops that really grab you? I could use a few examples of easily-navigable, aesthetically-pleasing websites for handcrafted goods. I like the first set of headers the best. Caveat: I know nothing of fashion type stuff. Things on my body are either clothes (apparel, I get that) or jewelry. I have NEVER understood that whole “accessories” category at all. You should probably go with the second set of headers. I think of accessories as things that you wear that aren’t jewelry or clothes, like scarves and barrettes. There’s a lot of gray area, though, and I often struggle as to how to classify some things. I’m glad to hear that you like the first set of headers. I did, too, but thought I’d be alone! I like the first header better, as well. 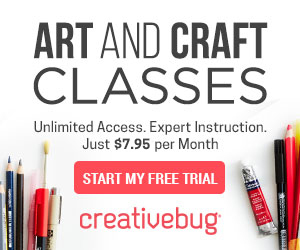 I would search your site more by craft medium than anything else. Jewelry could be knitted, quilted, beaded, clay… but I like to look at things that are JUST knitted, or JUST quilted. I suppose it’s all personal preference. This is good. I’m surprised to see two people in a row liking the first set of headers, so I’m really glad I asked! If I knew you had a particular item I was interested in, I’d prefer the second header. These categories would get me exactly where I need to be with fewer clicks. However…If I was doing a google search and didn’t know that you’re jewelry was made with polymer clay, I’d prefer the first headings because they’re more specific to your products. I know…I over-analyze everything! To play it safe, I’d say go with the first set. That way, you’d take care of current customers as well as those that may find you via search engines. The search engine thing is a good point. I suspect that a google search would bring someone directly to the item they were looking for anyway, and the navigation up top would not really be that important, in that case. Maybe what I need is a combination of ways to find what you need: media along the top, and more specific searches down the sidebar. I think the first line is cute, but I prefer the second line. Easier to find what I want. Maybe a combination of both would work for you. Don’t know of a multi-media website, but I like the way Lori Anderson has hers set up. Check out http://www.lorianderson.net. I am not sure if I have any advice for you Lisa since these are exactly the type of issues I run into myself with my business. It seems that over time as your business directions shift or become more clarified, that you will need to adjust the way you present them from time to time. I have watched your blog and website go through many of these shifts throughout the years. You seem to have a good handle on what you want and always end up improving what you offer. I am positive, you will figure out something great! I like the second list of headers better. I figured out what accessories were but I have found the existing colour/pattern/collection categories hard to search through. I still plan to buy one of your shawl pins- when I can work out what the colours/patterns are!! You are reminding me I still need to make more of them! (Oh, how much easier it would be to jump into making things if I had a dedicated spot in which to do it! Nothing creative ever gets done, when I’m trying to keep my dining room clean…) Thanks for your feedback. I played around with the menu yesterday, and hopefully it’s a step in the right direction. Oh, do I know how hard this can be to deal with! My daughter dyes and sells yarn. 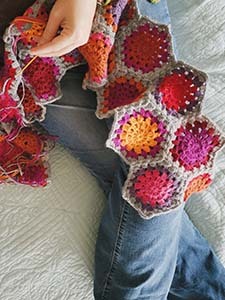 I do quite a lot of the setup work on her website – https://www.twistedfiberart.com, and it drives all of us crazy! We have reorganized our categories multiple times in the last three years. Does your software by any chance let you put the same product into multiple categories? Hers does. We have set things up so that people can access the products via yarn, colorway or what she calls skein design (self-striping, gradience, almost solid). Then when we add a new product we just associate it with all the appropriate categories. That part isn’t much work if your software supports it, though I’d guess maybe yours doesn’t. Best of luck getting everything set up to your liking! I do plan to have each item belong to multiple categories, but I’ve been struggling mostly to come up with what the categories should be. I spent some time working on it this weekend, sprucing up the home page, and taking notes on how I would like it to work. I think I know where I’m going with this now, thanks to all of the lovely feedback! 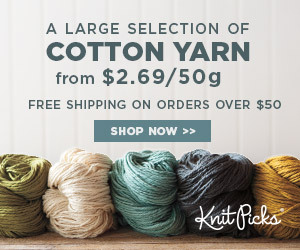 I visited your daughter’s shop by the way – gorgeous yarns! Hard not to be temped by them… I’m very drawn to Anhk, in particular.